Learn more about United Patients Group at unitedpatientsgroup.com. 'Pharmacists like to meet at 6am," says Corinne Malanca. "I don't know why." Malanca, co-founder of Marin County's United Patients Group, is calling early on a Sunday. She is at the tail end of the March 24–27 weekend American Pharmacists Association Annual Meeting and Exposition at the Moscone Center in San Francisco. She's been speaking, meeting with attendees and talking with the early-rising pharmacists as part of her effort to get the word out about the true medical value of cannabis and cannabis-derived products. Six years ago, when Malanca and her husband, John, first founded the nonprofit educational organization—inspired by their own experiences finding credible cannabis information after Corinne's father was diagnosed with a fatal illness—the idea that they would someday be addressing a national assembly of pharmacists was barely fathomable. In May, they'll be in Washington, D.C., hosting a "wine day" event, where they'll be explaining cannabis science to legislators and their staff. "Clearly," Malanca says, "the days when people didn't want to hear anything about cannabis as medicine are long gone. But not entirely gone. There is still lots of work to do. But new opportunities are presenting themselves all the time." Case in point: Earlier this month, the Malancas conducted a day-long educational course at Sonoma State University (SSU). The workshop was titled "Medical Cannabis: a Clinical Focus," and was led by registered nurse Eloise Theisen and Donald Land, a chemistry professor at UC Davis and chief scientific consultant at Steep Hill Labs, a cannabis science and technology company. The course is part of SSU's commitment to educating professionals for the emerging medical cannabis workforce in California. The workshop, heavy with medical detail and discussions of "the endocannabinoid system," attracted nearly a hundred people—primarily healthcare professionals and a number of workers from a cannabis dispensary in the city of Shasta Lake. One of the day's most interesting moments came during a Q&A session, when several of the dispensary workers expressed a need for better communication between doctors and dispensaries. Anecdotes were shared that related to clients visiting a dispensary with a vague prescription from their doctor, but no clear direction on which type of product, strain or terpene—used in the medical marijuana business to indicate different types of marijuana, with different effects and uses—they would best benefit from. Clearly, better communication is needed among clients, doctors, nurses and those who dispense medical marijuana. This morning, as Malanca moves from one conference event to another—taking the conversation onto the elevator at one point—she answers a few questions for the Bohemian about that very issue. 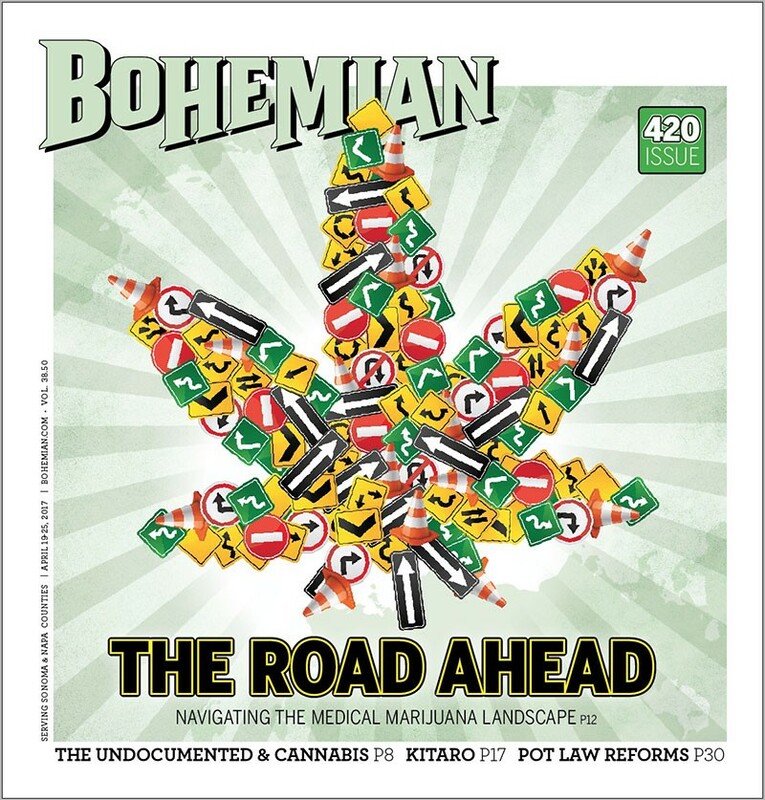 Bohemian: According to the dispensary workers present at the SSU conference, if a prescribing doctor doesn't know what specific strains or terpenes to recommend, harm could be done by a client making wild guesses and trying something with negative side effects for their particular illness—like trying a product that increases anxiety, when cannabis has been prescribed to treat that anxiety. But [dispensaries] say that there is little they can do because they are not legally allowed to prescribe. Is this the situation as you see it? Corinne Malanca: Well, there's actually quite a bit that dispensaries can do. But I have to tell you, that was the first group of dispensary staff workers that has ever chosen to attend one of our conferences. We've been doing this for six years, and whenever we bring a workshop to a particular area, we always market our workshops to dispensaries. Because there is a lot they can do, legally, without having to prescribe anything. In six years of doing this, our medical team tends not to refer anyone to medical dispensaries, because they have been choosing not to attend our educational seminars. But there is a lot they can do, without prescribing, that will create much more safety around the communication they have with clients. For example, if someone comes in and says, "I have chronic pain. What can I take for pain?" The staffer might say, "Oh, well, you can take this, this, this or this." But if they don't ask the client if they take opiates, or other medications, there could be a problem. That's not prescribing, that's educating. Knowing that cannabis magnifies opiates four-to-seven times their original magnitude, that's very important. They need that information so they don't spend time talking about products that aren't really right for that client.